Will Google Books own the Western literary canon? A new settlement agreed this month means that Google's attempts to scan the world's books faces a few new limits. Only out-of-print books from English-speaking countries can be scanned, which limits Google's ability to make money from scanning, digitising and digitally distributing the rest of the world's out-of-print books. Google will also need to compile a registry for those copyright holders who do not come forward. The new settlement was agreed following considerable objections from the French, German and US governments as well as writers, publishers, libraries and consumer groups worldwide. While Google's proposal to make the world's books easily and quickly available to all online is driven by a worthy-seeming objective, there are still many questions to be answered about how the company could benefit commercially from the deal at the expense of the greater good. 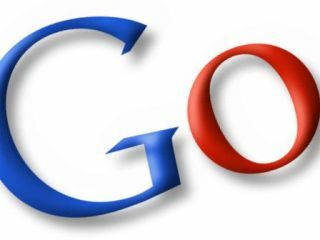 The Initiative for a Competitive Online Marketplace (ICOMP) still argues that the new settlement does not fix what it claims to be the fundamental problems with the original settlement – namely, that Google will still get a virtual monopoly over the ability to search books online, creating what the US Department of Justice referred to as "a dangerous probability that only Google would have the ability to market... a comprehensive digital book subscription." "The revised settlement proposal essentially guarantees that no other commercial entity in the world, either in Europe or elsewhere, will be able either to access directly or to replicate the massive books database that the settlement proposal places under Google's sole control," argues ICOMP. "It also means that consumers wishing to search for books online will have no choice – it will be Google or nothing. Google has long sought to build a moat around its monopoly in search. This settlement threatens to make Google's search monopoly an impenetrable fortress." The bottom line for the many concerns over the potential anti-competitive behaviour that might result from the latest Google Books settlement is that it would allow the search giant to effectively fix the prices of the digitised versions of the English-speaking world's literary heritage. Stay tuned for more news, opinions and reactions to the revised Google Books settlement as we get it.